Family and owned and operated, Kulas Maids Inc. has the experience and expertise to make your home sparkle. Kulas Maids is a fully insured and bonded company and looks forward to taking away the stress and anxiety of cleaning your home—place the responsibility of cleaning your home into our hands. If you are looking for a cleaning service in Des Plaines, Illinois 60016, we recommend that you call Kulas Maids today! If you are tired of cleaning your Des Plaines home by yourself, let Kulas Maids Inc. do the job for you. We provide the finest cleaning supplies and equipment and also use environmentally friendly cleaning products. For more information about our green cleaning products, click on the ‘Green Cleaning’ tab above. Kulas Maids Inc. wants you to know that our work is 100% guaranteed. We strive for customer satisfaction and only hire the most qualified maids. Our crews of 4 maids are unparalleled by any other maid service in the area due to our quick and efficient way of cleaning. 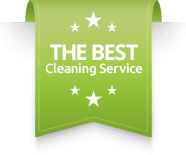 Simply, we are the best maid service in Des Plaines!